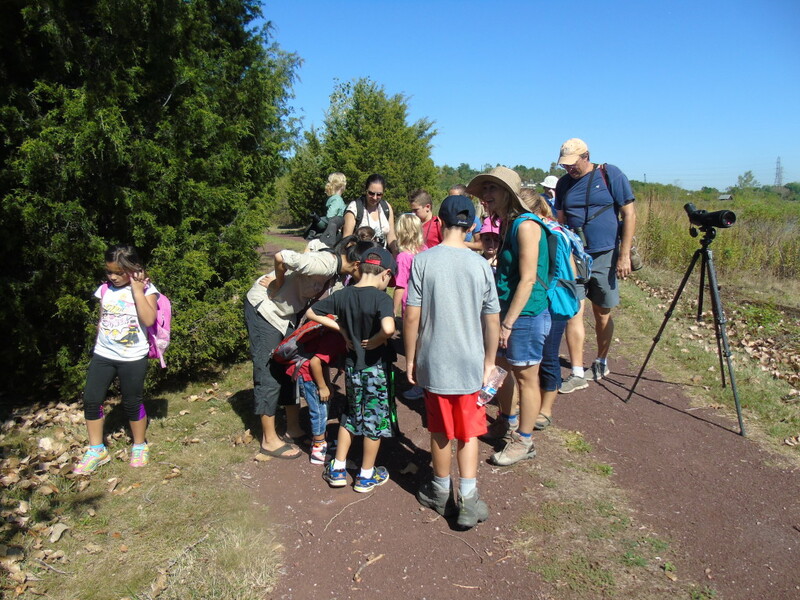 Thanks to the more than 40 nature enthusiasts who joined us on this morning’s nature walk at Harrier Meadow in North Arlington. We were especially pleased to see many children on today’s walk. Species seen include Osprey, Lesser Yellowlegs, Semi-palmated Sandpipers, Ruddy Ducks and Palm Warbler. The kids were also thrilled – and some grossed out – by Barn Owl pellets found on the ground.